Cinderella and Rockerfella is a modern, panto-style reworking of a classic tale. Now available with Words on Screen™ v2. Cinderella and Rockerfella is a modern, panto-style reworking of the classic tale with all the traditional characters: downtrodden Cinderella, Rockerfella (formerly known as Prince Charming), Buttons, the Ugly Sisters and the Fairy Godmother, together with a selection of additional characters, from music managers and paparazzi to good and bad fairies - all placed in a world of fame and celebrity. With fresh and relevant things to say about fame, fortune and how true love will win in the end, this Cinderella panto script is wonderfully comical. It contains fabulous songs together with plenty of opportunity for audience participation. 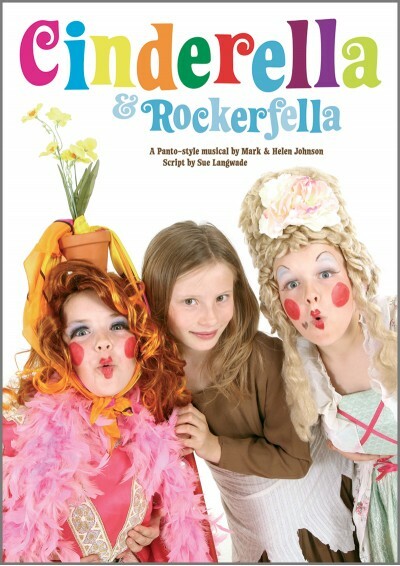 Cinderella and Rockerfella is the perfect choice for your school production any time of year and is sure to bring the house down. Your Feet Are Too Big! It's Not All It's Cracked Up To Be! I'm So In Love With Me! You're Going To The Ball! There's A Party Here Tonight! I played the part of the Fairy Godmother in the production. A few years ago, our school did this production and then decided to do it again this year. Everyone in Year 6 came together and performed this production 4 times. Everyone was exhausted at the end but had a lot of fun. I would do this again in a heartbeat and I definitely recommend this production. I loved how I got to sing a solo and get Cinderella dressed for the ball. Everyone loved the songs as they were so catchy. Our school has just completed a production of Cinderella and Rockerfella. It was a huge success with our principal and parents raving about how good it was. We did it with our year 5/6 students. It is an excellent show for kids and songs are really easy to teach. The children absolutely loved them. The best play ever it is so much fun and the fact that the audience can join in to is fab :) and the best part is , when i auditioned for the role of Buttons ( Cinderells best friend ) i got it !! My Year 5/6 class performed this last year and it was such fun. The audience participation really makes it and the script is very witty. I'm still singing the songs they are so catchy. The children loved it and so did the grown ups! best school performance that the audience had ever seen! Last night our year 6s did a performance of "Cinderella and Rockerfella". Everyone who came to watch said that it was the best school performance that they had ever seen! Our children absolutely loved doing it and this was due to the brilliant script and amazing songs! I just wanted to thank you for providing such a wonderful resource! Now the problem is.....what on earth can we do next year?!! My Year 6 class recently performed this for their end of year production. Initially, the story was rather difficult to follow and we weren't particularly keen some parts, e.g. Button's limericks, however, on the night, the show was a huge success and the children and parents loved it. It was nice having parents involved in the panto-style cue card replies. We'd like somethinig similar for next year! I'm The OI in mine. 3 performances, one down people say I'm epic at the oi. Everyone loves it and puts 110% into it! Im Cinders (Cinderella) In part two and i think its a wonderful performance! Can't wait till next Christmas! It has been 4 years now since I first performed this great panto... I can't wait to put it on again with my new class next December. It's simply excellent. Often find myself in the car singing one of the songs four years on! Past pupils now in their mid-late teens, always refer to it if I meet them! Happy memories of a sparkling performance! Doing this as the school play and it is the BEST. Dress rehearsal tomorrow! Can not wait this play is SOOOOOOOO good! I loved doing this play so much! I was Cinderella and for a friend like you I had to kiss buttons on the cheek! This play is amazing! We did it for our year 6's leaving show! Such a vibrant, fun panto. Children loved it. My school did this with the leavers this year when I was in year 5 but I appered in this as Princess incogneato (or something) and I still sing the songs now! If we carried on we could rival the guild hall! Everyone truely enjoyed it and especialy my quick thinking when something went wrong! Buy now and truely Rock out! Hillside primary school panto is going to be amazing! i cant wait till i perform this it is so amazing i love all the songs so much my favourate is friend like you! CAN ANY SHOW BEAT IT!!!! My Year 3 class loved this last year but how can we top this? Can anyone tell me about a production which can come anywhere close? i love all the songs like never before!!! I was cinderella and it was AMAZING i recomend it to everyone.it was really fun to do aswell as an amazing show! everyone enjoyed it! 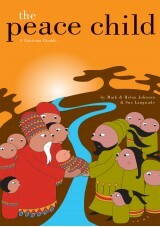 I work at mossford and this was a really good musical and the school kids loved it when our class performed it! I have been teaching for over 20 years and I have to say that this is one of the best musicals I have ever done with the Y6 Leavers. The songs are excellent and so catchy, there are plenty of decent sized parts and the script is funny. Mark and Helen Johnson are geniuses!! I am doing this play in July as my end of year 6 play even though I am a girl I am doing rocky which is awesome, I luv the song if i had one wish (which I get to sing). If u are considering then this i da BEST play Eva and not another can beat it!!!! This is a great play me and my class really liked it, i was a towns person - it was so great, it was my last play at primary school! Performed it last year as Fairy Nastyboots! An amazing experience I will never forget,people say I was really good at being Fairy NB that some people jokingly call me it now lol! I am a deputy principal in Pukekohe, New Zealand. 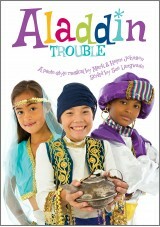 Our 10 & 11 year old students (200 of them) performed this show last September. It was brilliant!!!! The kids loved it, so did the parents and teachers. We had 2 casts but one choir. We made very few changes to the script. Now looking for an equally as good script for our next production. I was Fairy nastyboots the play is brillant lots of jokes and gr8 songs !!!!! Super, fantastic, what a laugh!!!! I'm a teacher at a school in Cambridgeshre and another very dedicated teacher at my school (Mrs Avril Watson) put this show on as a whole school performance, with a main cast (who she looked after) and individual year groups, who added their own sections to it. 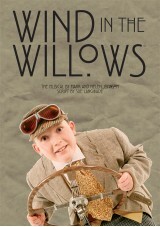 The play was absolutley fantastic with a very funny script which reached both children and adults! I would recommend this play to anyone and I strongly recommend Avril Watson to be the director!!! It is mint. We did it as a school prouduction last christmas and it was amazing. It's better than Avatar !!!!!!!!!!! This play is so fun!!!!!!!!!! my lines are all thought out !!!!!!!! !nnIt's the best musical ever in the history of the world !!!!!!!!!!!!! mint i love it !! this is my leaving play and i love it, i aduitioned for cinderela and im waiting to see if i get the part, but wow i love the play, the parts ( fary liquid is my favorite ), the songs, the jokes, everything about it is child friendly but also grown up at the same time, it has got to be my favorite play yet!!!!!!!!!!! IT GETS MY 5***** RATING!!!!!!!! I did this musical with my class last week and for any other teachers wondering about Cinderells and Rockerfella make no mistake this is worth doing with your class.The kids loved the songs,we did it for 2 nights and there was big demand for more performances.The songs are varied and catchy...the children sing them all the time...no weak one.The script is funny and holds the audience.The talent show in the middle is great as it gives the children with special talents a chance to shine.I have put on many shows in my time but this one comes with a very high rating from me.Put it on and you'll be glad you did!! This play is brill! I'm the ugly sister and i'm a boy! Every one can laugh at it even when your being humiliated! I would Recommend Cinderella & Rockerfella to every school in the world. Shadsworth Junior School. I think this play has to be the most awesome play ever.It has such lively music that gets the whole audience into the spirit.nI would recommend this play for any school!!!!!!!!!!!!!!!!!!!!!!!!!! i thought that this is a super play i an in year 6 and we are doing it as a leavers play y favorouite part is when we sing the song YOUR FEET ARE TOO BIG it is great . i would recomend it too everyone else who is looking for a play to do at any occasion. These are the positives of the cinderella rockafella play:nwe are doing it for our school play play this year and if it were just cinderella then we'd be really cross but this play is really different and exciting. We can't wait!!! i think cinderella rockerfella is fantastic .nncause it is funny and it is great for children who leaventheschool.it is also for entertainment and laughter.itnis also a great leaving present for the yr 6s to give tonthe children who are still in the school.nthe funny parts r were the boys are dressed up as ngirls.nncinderella & rockerfella is so cool! This is a wonderful play for people in junior school, our class really enjoys this play.nnIt's hilarious !!!!!!!!!!!!!!!!!!!!!! I did this with my Year 3 class as their end of term production. All the class loved it and were brilliant. They did all the singing including the duets and harmonies and the acting was fabulous. All the parents said it was brilliant. In 20 years of teaching it is the best production I have ever done. i love this i about to do this i am playing cinderella (wow)ni am kind of shy showing things to my classmates but when i am acting i feel really condfident .n5/5 already! we have done our play 2 times now. it was brill. all the parents loved it. i did cinderella and rockerfella as a play i was the PR i had so much fun doing the play i would do it again !!! there were some great songs and the ugly sisters where a laugh. I AM THE SHYEST IN MY CLASS BUT WHEN I AM ON STAGE I FEEL AT HOME IT IS THE BEST PLAY EVER!!!!!!!!!!!! This is the best Primary School production that I have ever seen. The songs are still ringing around my head a week later. I played the P.R in cinders and rocky It was sooooooper i did the solo in happy ever afters with to other friends the costume desiner and paparatzzinit was soooooooooo cool i loved itt sooo much my mum even came to see it 3 out of 4 times it was soooooooooooooooooooo good so id recomend it to any teacher whos looking for a panto to do. were doing the play soon in the local hotel and I'm the part of Rockerfella I'm really nervous but really excited! Learned all my lines and we're in an all girls school so I'm a girl playing a mans part! Ha ha! I think it was fab!!!!!!!!!!!! !nIn my school we are doing a christmas play and it is amazing!!!!!!!!!!!!!! !nyou have to read the play/script!!!!!!!!!!!!!!!!!!!!!!!!!!!!!!!!!!!!!!!!!!!!!!!!!!!!!!!!!!!!!!!!!!!!!!!!!!! Oh wow! I love this play (panto) . im playing cinderella and we havent performed it yet , but i think it will be a huge sucsess! I left primary school this year, and we did it in Year 6 as a Christmas pantomine. The yr6 and yr5 classes put it on together. I got the part of Fairy Nastyboots, and I loved it. I loved the intro music that I came on too, and I liked have a Naughty Kitty I could order around. Would reccomend this play to anyone whos looking for a classic fairytale with a modern twist, humour, and who is looking to have fun putting it toghter. It is a great thing for different age groups to bond over and it was a great chance to express oursleves. Enjoyed it sooo much; Fairy Nastyboots is back, Ive rescued Kitty from the sack!! it tis the best musical everrrrrrrrrrrrrrrrrrrrrrrrrrrrrrrrr!!!!!!!!!!!!!!!!!!!!!!!!!!!!!!!!!!!!!!!!!!!!!!!!!!!!!!!!!!!!!!!! This was the first play which i really enjoyed doing!! !nI did it in Flora Gardens School and loved every single part of it!!! We performed this with year 3 and 4 children and it was brilliant really catchy songs which the children loved and a good script! Would love to do it again this year but no can do. the kids loved it too! Lovely Script, Lively Music, Lots of laughs and great 'fun' to do. By Mr.H - (Ducklington Primary School - near Witney, Oxon) the MD! The audience laughed heartily; the children performed brilliantly; the singing was super; the Sisters really made the show; the humour was great, everyone had a great time in producing this 'panto', put on at the end of the Summer term, when years 5/6 could relax following SATS! A great ending to the year.nWell worth the efforts of all concerned. BRILL. We are left with the question, how do we follow that!? 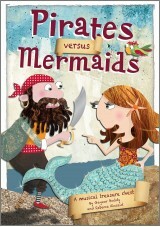 We did this as a summer play for whole school but the year sixes got the main parts and it turned out brilliant! I absoulutley love Cinderella Rockerfella, I was fairy NB and i loved it! My friend was Rocky and she had a quiff in her hair, Amazing Panto! BUY IT! The songs are really fun to sing and the acting is so fun to do!! Our leavers panto is going to be the best panto ever!!! the songs are very well written. CINDERELLA ROCKERFELLA RULES!!!!!!!! MY SCHOOL IS DOING THE PRODUCTION TOMORROW !!! !AND THURDAY . IT'S THE BEST EVER !!!! We're doing this play at school and it's absoloutely amazing! It's the best Panto I've ever done. I really love the play !! I'm dancing on stage with the party guests to There's a party here tonight !! I LOVE IT . You should buy it !! i think cinderella rockerfella is the best play in the whole world its funny and entertaining my school is doing it this year so far we a in the middle of reherseing for it when i read the script i thought we wouldnt be able to pull it of but now we have practice we are fantastic. I play Fairy cake and i enjoy playing my role. The play is SUPER! I actually auditioned for Fairy NastyBoots, but my friend Mollie beat me, I am now the make-over genius, Fairy G, I give this AWSOME play 5000000000000000stars and my class are doing it as our yr6 play, it will be the best one so far!!!!!!!!!!!!!!!!!! My fave songs are You're going to the ball as i sing it, and One Wish!!!!!!!!!!!!!! I'm doing this show for our leaving show at school and it is awsome i'm playing the part of buttons its really fun and the songs are really good and funny you should buy the script and the cd because it is the best show ever garanteed to delight!!!!!!! !The only problem is trying to find the costume its really hard. I played cinderella! wow I loved it! CINDERELLA AND ROCKERFELLA PANTO WAS AMAZING. I AM ONE OF THE PUPILS AT CROFTMALLOCH PRIMARY WHO WAS IN IT. IT WAS SUCH GREAT FUN! hi well i havent actually dont the cinderella rockerfella play yet be are learning it and it is great !!! im cinderella and i cant wait until the play !!! my favourite song is a friend like you because i like acting it out !! !ncinderella rockerfella play is on of the best plays we have ever done !!!!!! thanks. I love it we are doing it for our ed of year production i am fairy nastyboots, i love it. It is so catchy and the costumes are great ca't wait till we show everyone! OUR SCHOOL DID THIS PLAY AND I WAS CINDERELLA! I LOVED THE TWO SONGS I HAD TO SING: A FRIEND LIKE YOU AND IF I HAD ONE WISH! MY COUSIN WAS BUTTONS,MY 2 BEST FRIENDS WERE VILLAGE PEEPS AND THATS ABOUT IT! I LOVED DOING IT!!!!!!!!!!!!!!!! it is a very fun and happy play. i like the funny and the happy bitsnat the end of the day it is the best thing to wake every one up.nthe best bit is the song the feet are to big bacause you coped a ball room dance and made it funny. the song theres a party here tonight i like because it gets evary one dancing.im 8 and doing the play at school and i love it!!!!!!!!!!!!!!!!!!!!!!!!! We are doing this as our End of year production.Im Fairy Nasty Boots. I love it is so hilarious catchy and a complete modern up to date Cinderella. nCinderella Rockerfella Got together!!!! ITS REALY FUNNY IM DOIN IT FOR MY PLAY IM CINDERELLA AND ITS GT GOOD HUMOUR AND I LOVE THE SONGS IF I HAD ONE WISH AND ITS NOT ALL ITS CRACKED UP TO BE.YOU WOULD FIND IT SO FUNNY AND ITS QUITE SHORT ID MAKE IT LONGER BY ADDING MORE REMARKS FOR UGLY STEP SISTERS! By Fairy nasty boots :) !!! we are doing it at school and i am rocky its awsome !!!!!!!!!!!!!!!!!!!!!!!!!!!!!!!!!!!!!!!!! songs you can dance along to and realy good acting. I did this panto at my school a few months ago, we all had so much fun putting it on! I was freddo the frog xD The songs are phenomenal and I cant get enough of watching the video of ISILWM that my dad took! Brilliant story line, Brilliant songs, Highly recommended! my school did this play a few weeks ago it was brilliant. It was great crack practicing in the hall in our school i was one of the fairy nastyboots and so was my friend. We did it for two nights and it was a huge success everyone in the audience stood up and danced at the end. it was worth all the hard work in the end. A brilliant production. Great script and fantastic songs. Our children loved it and the feedback from parents was great. It'll certainly be a hard production to beat! better then the best there ever was!!!!!!!!! Fantastic script / songs and lots of laughs! Our school performed Cinderella and Rockerfella this month and it was an fantastic success. There were a wide variety of parts so seemed to fit with most children and even if they didn't have many lines, they were up on the stage taking part singing and joining in. The ugly sisters roles were suberb (slight bias as my son was Augustina!) The parents agreed this was the best christmas production in the last 7 years - we have not laughed or cried so much in a long time! My school performed this today. nnThe roles are superb and the 'ad libs' were so apt! !nnThe script is so well written and the variety of songs and music is so user easy.nnWithin the script there is plenty of room to adapt it to fit in with any sized school. I got the part of Fairy Nastyboots and i love it. Plus my best friend is the Fairy Godmother. My other friends are all in the Fairy Brigade! nMy other friend is the rear of the limo. The limo they got was wicked. Did I mention that I love playing the part of Fairy Nastyboots! If you're looking for a Christmas Pantomine this is the one to get! Sorry, got to go now. It's my last performance tonight so I have got to get ready. I hope you like the show. Break a Leg! well good doing it at our school can't wait so far everyone says it was brill showing it on monday. Amy is cinderella dream scene isn't that good!!!!!! she's a well good singer! make happy ever after a choice to click on because you can't click on it at the moment. thank you. this is fantastic. my school is doing it for our nativity this year and i am fairy sajollygoodfello!!! yey. We are doing this play at school and again I am Cinderella!! The good thing is the main part doesn't have loads of line and I like the solos! So overall great!! i think this play is amazing and if teachers are looking for a Christmas play this is great you can get the kids involved a lot and the songs are really catchy one of the songs gets you moving it is there's a party here here tonight and tonight's the night . It also get the audience involved i would describe it as funny exciting catchy amazing thrilling dazzling and there's lot's more i could do. Catchy songs which the kids absolutely love, all provided on a cd, so no one has to be in the hall 24/7 playing the piano. A must to make any Christmas easier for teachers! When I saw the ominous words "forthcoming pantomime", I was so excited that the brilliant Out of the Ark were venturing into new territories, and I was not let down! I received my copy of the book and CD, and have not stopped listening to the wonderfully suitable panto-style songs and lyrics. The script is fantastically written, one of the most hysterical yet simple in nature (just as a good panto is) adaptations I've ever heard. My sincere congratulations to everybody involved with the publication of this masterpiece, and to anyone in doubt, this can be performed at any time of year, particularly in the inevitable "panto season" - it's sure to "bring the house down"!